I’m proud and honored to be the very first guest on Cinema Shame, a new podcast where movie lovers talk about iconic films they haven’t seen — and why. Jay invited me on to talk about my (non-existent) shame over not having seen POLICE ACADEMY (1984) nor any of its endless sequels. But, like every conversation I have with fellow film lovers, our chat was delightfully discursive. We talked about the experience of seeing a film in its proper historical context, what makes a film a “classic,” the role nostalgia plays in our love for older films, and what makes a popular film endure. We even touched on my personal experience in high school, and why that four-year period back in the 1980s is a “cultural black hole” for me. So have a listen here. Or use the player below. And let me know if you disagree with my rather strong feelings about the film. To interact with Cinema Shame follow the project on Twitter. In the early years of the 20th Century, New York City was the Vaudeville capital of America, with a collection of popular and peculiar performers plying their trade live on stage. A few icons of that era found fame in other mediums, but most were forgotten after Hollywood made the transition to “Talking Pictures.” End of story. Or, maybe not. On December 5, Turner Classic Movies cracks open the time tunnel with a program of 63 shorts from the 1920s and ’30s featuring famous and not-so-famous personalities from Vaudeville’s dying days. Produced by Warner Bros. using the Vitaphone sound-on-disc process — film projected in sync with a record played on a turntable — these shorts are some of the earliest surviving Talkies, but the majority had been separated from their soundtracks and “lost” to audiences for decades. Cue Ron Hutchinson. The East Orange, New Jersey native co-founded the Vitaphone Project in 1991 with the mission of reuniting 16-inch shellac soundtrack discs with 35mm picture elements (most archived at the Library of Congress), thus restoring history for a new generation. 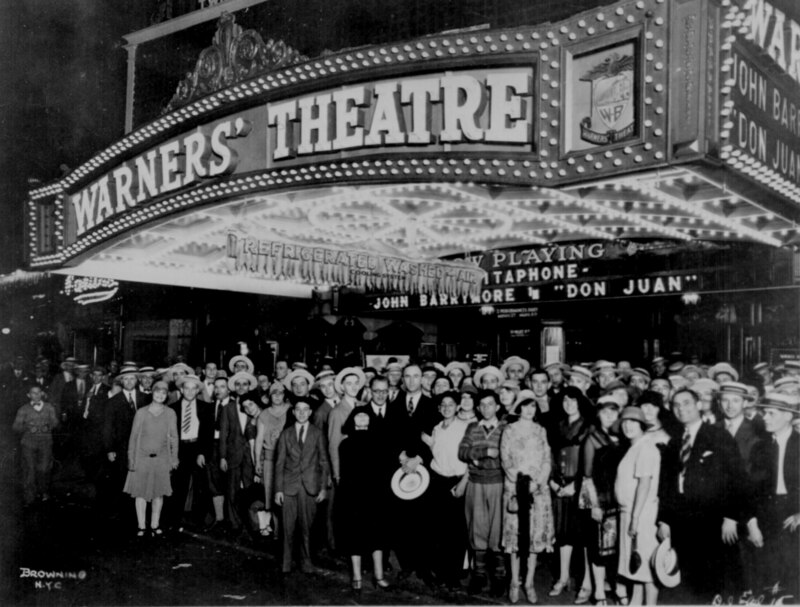 “Little did we know that we would find more than 6,000 of those discs in private hands and have been involved with the restoration of more than 125 shorts and a dozen features so far, with 40 more in the pipeline,” Hutchinson said at Film Forum in New York at the premiere screening of seven new restorations in October. In the audience at Film Forum that night were two relatives of Vaudeville performers who starred in Vitaphone shorts, enjoying their rediscovery along with the rest of the packed house. 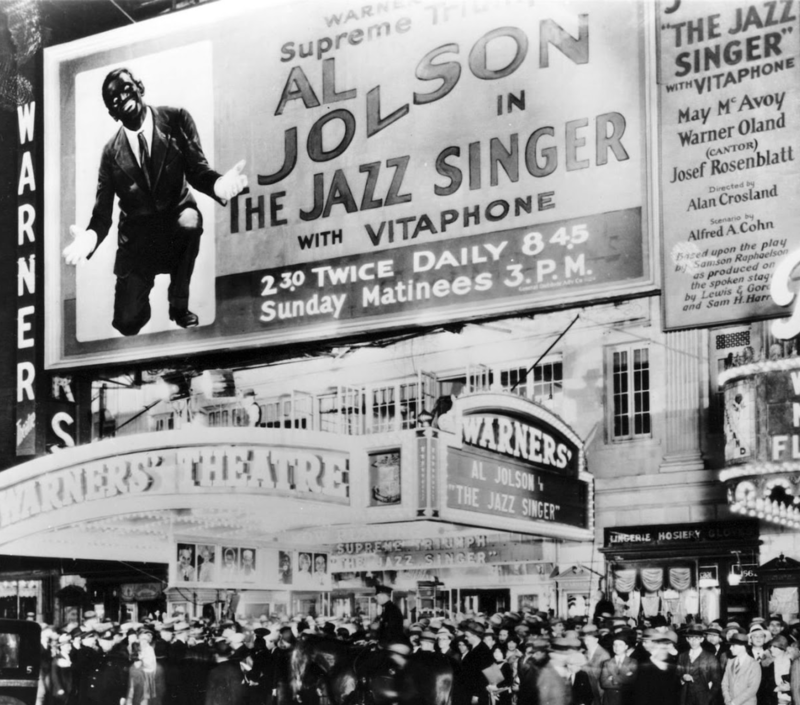 The Vitaphone process was also used for the earliest full-length sound features, initially for music and sound effects scores and, beginning with THE JAZZ SINGER in 1927, for movies with synchronized dialogue. Five of those features are included in TCM’s 24-hour Vitaphone salute, including the delightful WHY BE GOOD (1929) with Colleen Moore at 11 p.m. (ET). Hutchinson will introduce the TCM program beginning at 8 p.m. (ET) with host Ben Mankiewicz in celebration of Vitaphone’s 90th anniversary and the 25th year of the Vitaphone project. 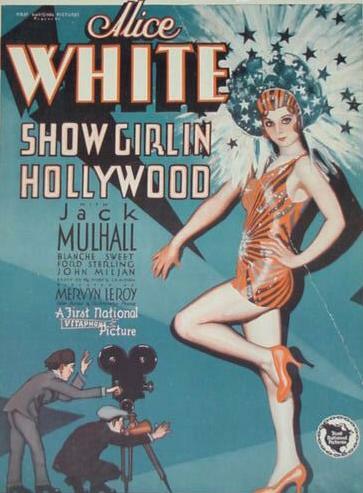 The success of the Vitaphone Project’s unique partnership between a rightsholder (Warner Bros), archives (UCLA and the Library of Congress), and private individuals has inspired other studios to “get religion” when it comes to restoration, Hutchinson said. 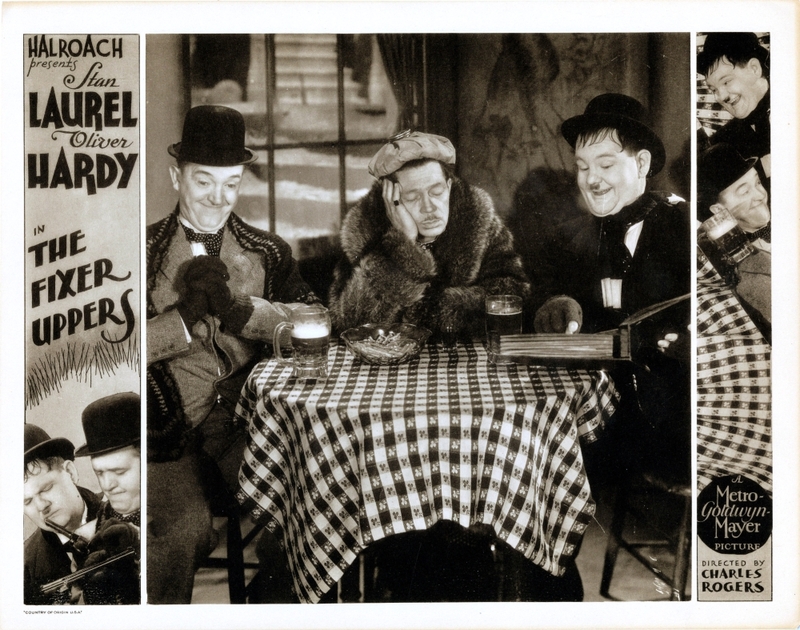 Chief among those is Universal, which has recently brought new restorations of the Marx Bros. first five films to market, along with the glorious KING OF JAZZ (which I wrote about here). If you can’t take the day off from work on Monday, I recommend you park yourself in front of the TV between 8 and 11 p.m. (ET) for 16 of the most memorable shorts you’ve ever seen. 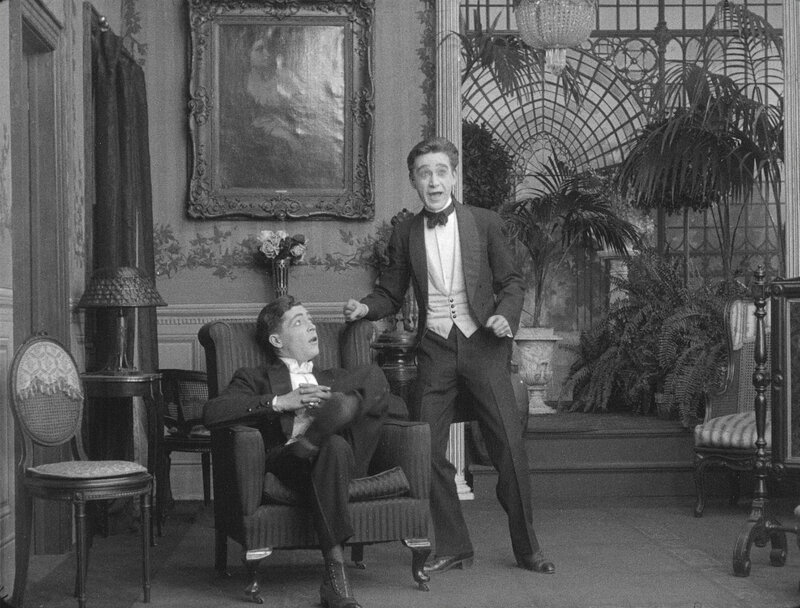 Best among these is the comedy team of Shaw and Lee in THE BEAU BRUMMELS (1928) in the 8 p.m. block and Conlin and Glass in SHARPS AND FLATS (1928) in the 9:45 p.m. block. I’ve seen both of these with audiences a number of times and they kill every time. Or better yet, just take the day off and watch TCM. For more information on the Vitaphone Project, click here. For more coverage of the TCM program, visit Trav SD’s excellent blog. A complete schedule of TCM’s 24-hour salute to Vitaphone follows, courtesy of Ron Hutchinson. Note: your cable listings will probably be wrong, so don’t try to set your DVR for a single short. Record everything in that block to be safe! In this silent film, friends face misadventures during WW I.
Dir: Charles Reisner Cast: Sydney Chaplin , Doris Hill , Harold Goodwin . A cantor’s son breaks with family tradition to go into show business. 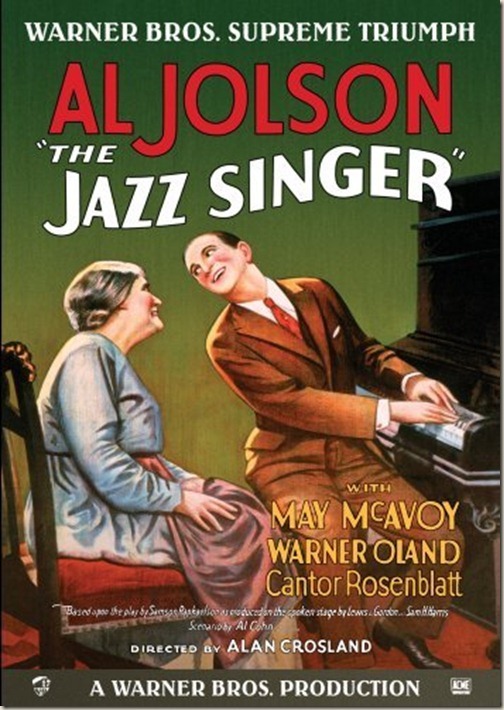 Dir: Alan Crosland Cast: Al Jolson , May McAvoy , Warner Oland . A virtuous flapper gets into a compromising situation with the boss’s son. 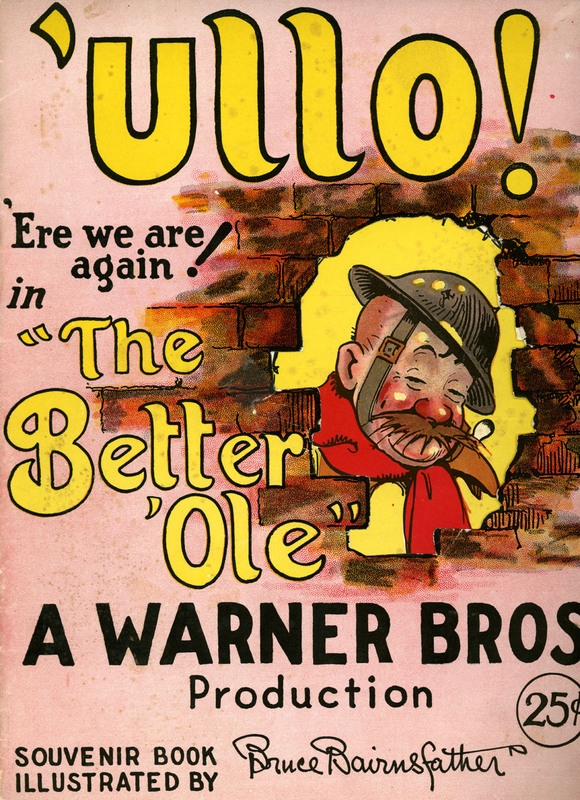 Dir: William A. Seiter Cast: Colleen Moore , Neil Hamilton , Bodil Rosing . 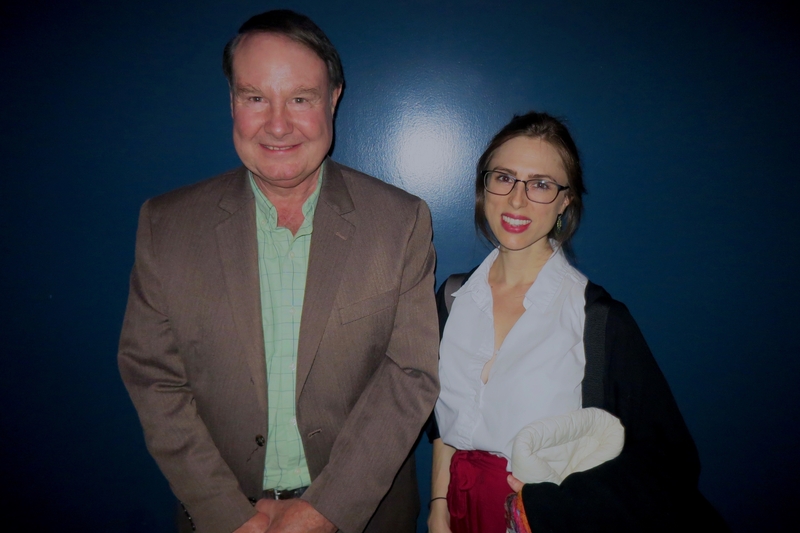 A Broadway songbird goes to Hollywood in search of screen stardom. Dir: Mervyn LeRoy Cast: Alice White, Jack Mulhall, Blanche Sweet . In this silent film, the legendary lover fights to survive intrigue in the court of the Borgias. Dir: Alan Crosland Cast: John Barrymore , Mary Astor , Willard Louis . You read that right. Short subjects with sound. From 1913. A total of 200 Kinetophone shorts were produced by Thomas Edison between 1913 and 1914 at his studio in the Bronx, New York. 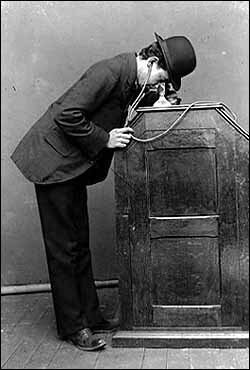 Similar to the better-known Warner Bros. Vitaphone sound shorts (shot in nearby Brooklyn), Edison’s shorts were mute films with synchronous audio recorded on a phonograph. Both were screened using a complex system that synched film projectors with separate audio playback: shellac discs for Vitaphone, wax cylinders for Kinetophone. But Edison’s shorts pre-dated Vitaphone by 13 years and came 14 years before Jolson promised You ain’t heard nothing yet! in THE JAZZ SINGER – the moment generally considered to be the birth of Talking Pictures. Film elements for 12 of the 200 Kinetophones are known to survive, with soundtracks extant for 15. To date, eight films have been fully restored, with picture and audio reunited (in some cases) for the first time in more than a century. Six of the restorations were screened on Saturday as part of To Save and Project: The 14th MoMA International Festival of Film Preservation. Titles included: NURSERY FAVORITES (1913) starring Little Miss Muffet, a giant spider, and a dog in pajamas; THE OLD GUARD (1914) with Napoleon’s ghost; THE DEAF MUTE (1914), a multi-part Civil War mystery filmed entirely on location; the Edison Quartette in MUSICAL BLACKSMITH (1914); and JACK’S JOKE (1913) a drawing room farce featuring Arthur Housman, a familiar face from Laurel & Hardy films. The final short ended with a delightfully protracted curtain call sequence that elicited good-natured cheers from the packed house at MoMA. That day finally came earlier this year, when audio from wax cylinders archived at the Thomas Edison National Historical Park in West Orange, New Jersey was captured digitally, cleaned up, and married to 2K scans of picture elements housed at the Library of Congress (some surviving in original negatives). In an illustrated lecture that preceded the screening, Willeman explained the history of the shorts and their restoration. As always, profit was a primary motivating factor in Edison’s early attempt to make pictures talk. (Some things never change.) He controlled patents on both audio and film recording technology and, as early as 1894, was experimenting with technology that would unite the two. The 17-second-long Dickson Experimental Sound Film – two men dancing while Edison collaborator William Dickson plays violin – was shot at the Edison Company’s “Black Maria” studio in West Orange, New Jersey and was the first moving picture with a synchronized soundtrack. If you’re having trouble visualizing this, imagine watching a short YouTube video on your iPad with earbuds, but in dedicated arcades where many other people are doing the same thing. And every time you replay it it costs another coin. Not a bad business for simple, inexpensively produced shorts that were essentially the Keyboard Cat of the turn of the 20th Century. 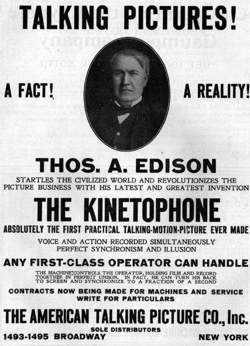 By 1913 Edison was in full production of Kinetophone sound shorts that would be presented in Vaudeville houses on the Albee theater circuit, rather than on individual players. Like with all early attempts at sound filmmaking, synchronization of disparate picture and audio sources was the principal challenge. According to Willeman, theaters were rigged with a hand-cranked Edison projector in the back, a specially built phonograph in the front, and a long linen belt running along the ceiling to connect the two. Operators wore headphones, and each projection set-up came with a synchronizer that moved the film four frames in either direction if audio sync began to drift (which it did, often). The Edison Kinetophone shorts were introduced on February 13, 1913 at a presentation in New York City that earned rave reviews and a 15-minute standing ovation. 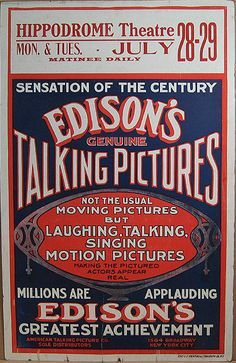 In the film that accompanied that presentation (which has been restored and was screened at MoMA), Allen Ramsey of the Edison Company brags that viewers are watching “the first genuine talking picture ever produced” and promises that people will be able to watch and listen 100 years from now. That line brought cheers at MoMA, 103 years later. But the success of the series was short-lived. The Kinetophones were discontinued after 1914, in part due to reduced international business during World War I, a devastating fire at the Edison plant, and a desire on the part of the audience for “longer subjects and first class acting.” Unlike the Vitaphones, which were mostly filmed records of Vaudeville acts or band performances, the Kinetophones were six-minute narratives that told self-contained or continuing stories. 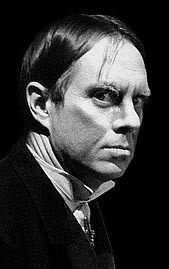 But the technological limitations of sync sound recording – a single, static shot with no edits and broad performances by actors shouting for the benefit of the the recording – were obvious to viewers spoiled by silent cinema’s increasingly lavish production values and complex storytelling. But it was the technological limitations that ultimately killed the Kinetophones. To Save and Project: The 14th MoMA International Festival of Film Preservation continues through November 23. A DVD release for the Kinetophone shorts is planned. An un-restored version of the introductory short is below. Over the last five years I’ve co-hosted two classic film podcasts and been a guest on countless others. But my favorite chats have always been with Miguel Rodriguez, host of the Horrible Imaginings podcast. 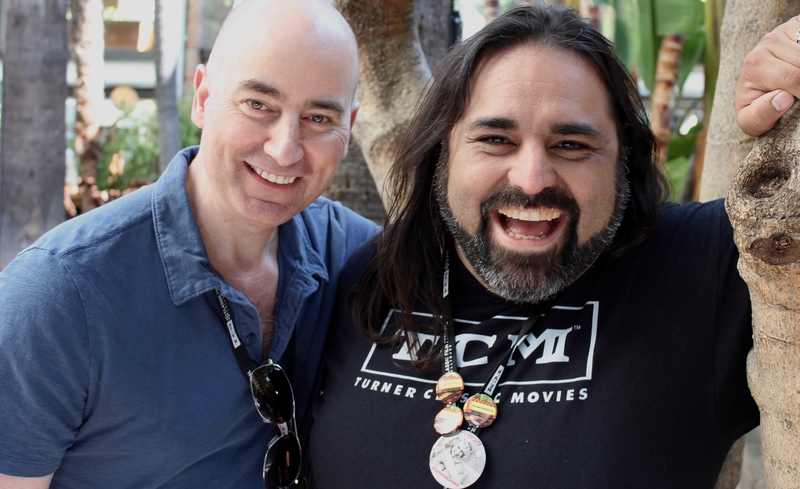 Miguel and I have only met in person a handful of times at the annual TCM Classic Film Festival in Hollywood, but I feel like we’re kindred spirits. We share a deep commitment to classic media of all types, and love to talk at length about its past and future. And Miguel’s knowledge of, and commitment to, both classic and contemporary horror and genre films is unmatched. He also reminds me how many movies I haven’t seen and need to, which makes me vaguely anxious. But that’s a topic for another day. 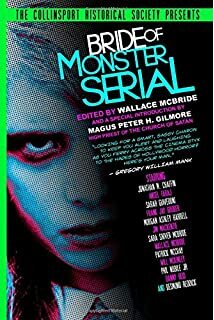 As often happens when Miguel and I get together, our conversation started with Zacherle and expanded in other directions, including: the history of classic film on television; the role of on-camera hosts as horror film “ambassadors” to a generation of young fans; how the horror boom on TV in the 1950s reinvigorated the careers of icons like Boris Karloff; the horror hosts of our own youth in the 1980s; and how a straight line can be drawn from the hosts of half a century ago to Mystery Science Theater 3000 and even Turner Classic Movies. So have a listen here or using the player below. You can also subscribe to the podcast and listen to past episodes here. And Happy Halloween! 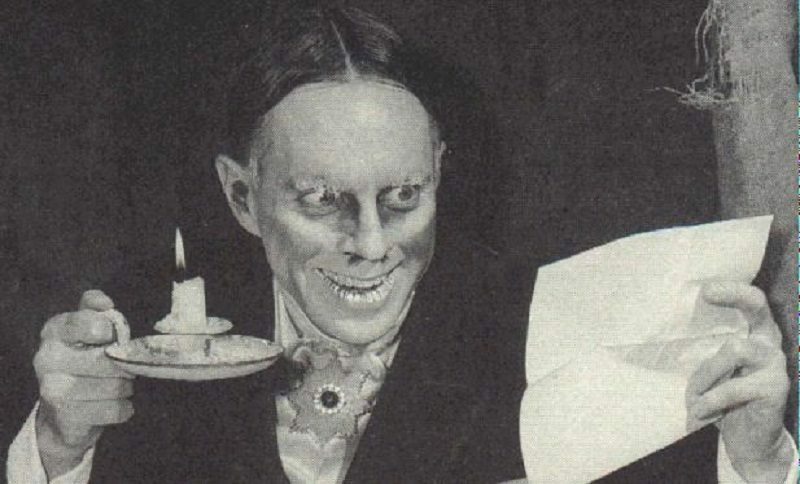 Halloween is like Comic Con for Old Movie Weirdos. For a few brief weeks, the mainstream sheds its confounding anti-classic bias and embraces our pop culture past. You see it in retro-themed decorations and costumes, old horror movies on TV and in local venues, and in a cultural ubiquity that reminds us how icons actually become icons: they stand the test of time. Halloween season is a rare opportunity for those of us who love these movies to come out of the classic film closet. It’s also a chance to share our lifelong weirdness with friends and family, and maybe even add to our ranks (while chanting “One of us! One of us!”). One fan has found a surprising – and delicious –way to pay tribute to the old movies that inspire her. New York based filmmaker and photographer Lisa Stock bakes classic film-themed cakes, and this year’s model celebrates a star of one of the most belovedly low-rent horror/sci-fi mashups ever made. My friend, we cannot keep this a secret any longer. Let us punish the guilty. 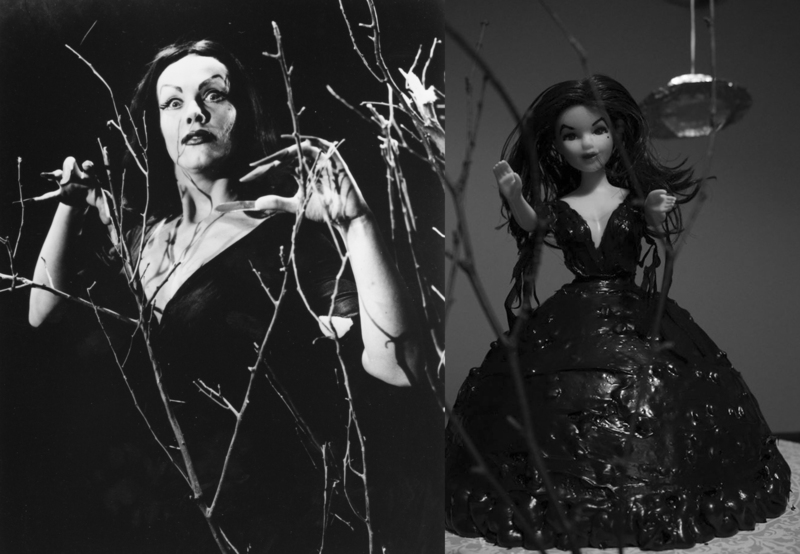 Let us reward the innocent…My friend, can your heart stand the shocking facts about a Vampira cake from Ed Wood’s PLAN 9 FROM OUTER SPACE?! WILL McKINLEY: How long have you been a classic film fan? LISA STOCK: Since I was about 4. No joke. I waited every year for THE WIZARD OF OZ to come on TV at Thanksgiving back in the 70’s. It was more captivating to me than any cartoon or TV show. It’s also why I became a filmmaker. Do old movies influence your work? Definitely. I’ve always loved how sci-fi films view the world in metaphor. 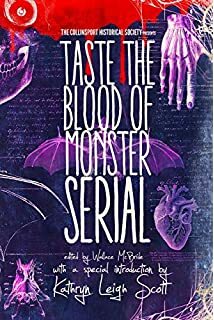 In the Noir genre, the narrative structure is like no other – how stories and clues and the deep inner-selves of each character unfold and surprise us at each turn. Filmmaker and photographer Lisa Stock. What do you love about PLAN 9? How can you not love a film that has everything AND Tor Johnson? 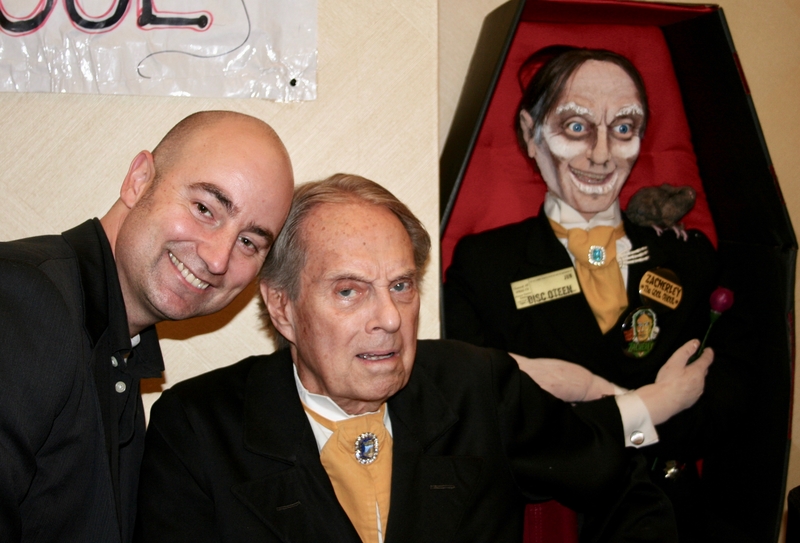 But what I really love is that Ed Wood didn’t let his (lack of) budget stop him from telling his story. That’s so me, I often create what I need for a film in Photoshop mattes. 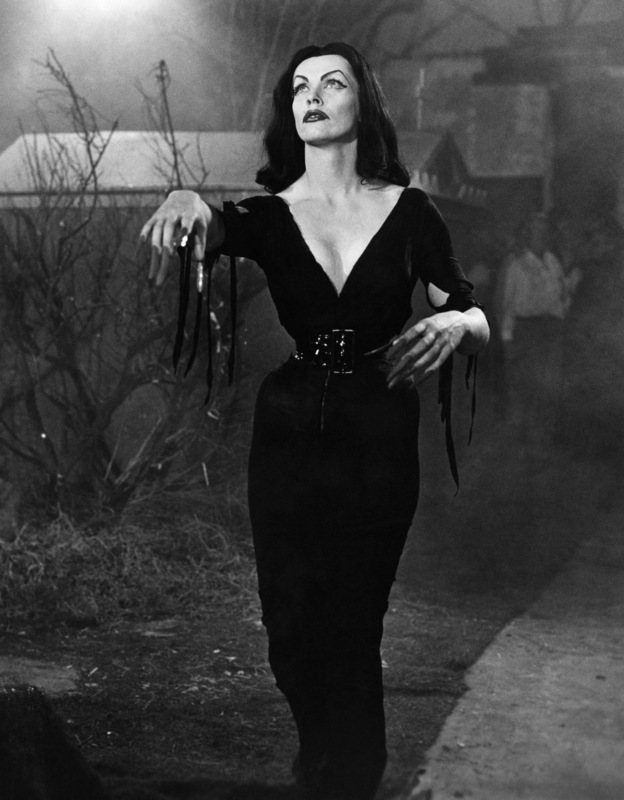 I’m sorry films have gotten away from “scenery” that looks like scenery, from the cemetery in PLAN 9 to the forest in OZ. One day I’ll make a movie like that. Are you a frequent baker? Is this your first classic film cake? I am, but only do big cakes like this for special occasions and holidays. 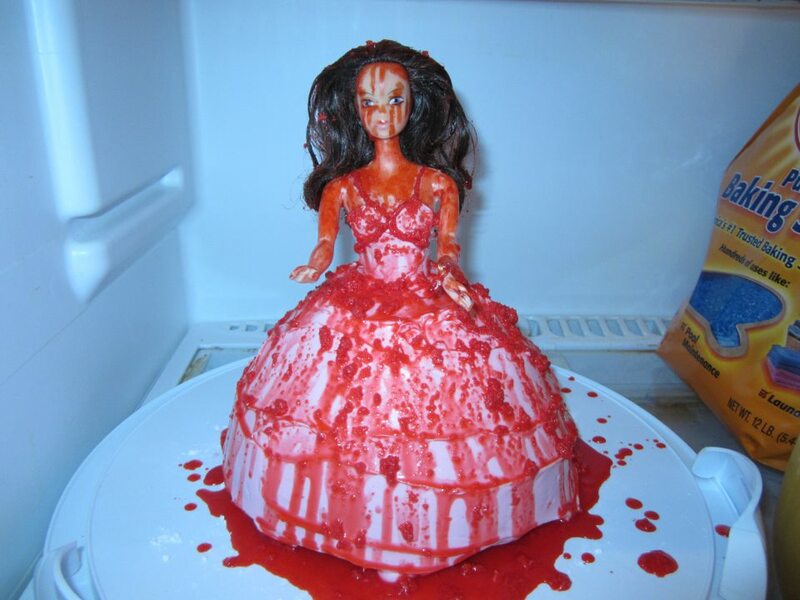 In years past I’ve made cakes of: the BRIDE OF FRANKENSTEIN (my favorite); a Headless Horseman victim from SLEEPY HOLLOW (made a 17th century dress and took the head off); and CARRIE (with all the pig blood, which was delicious). 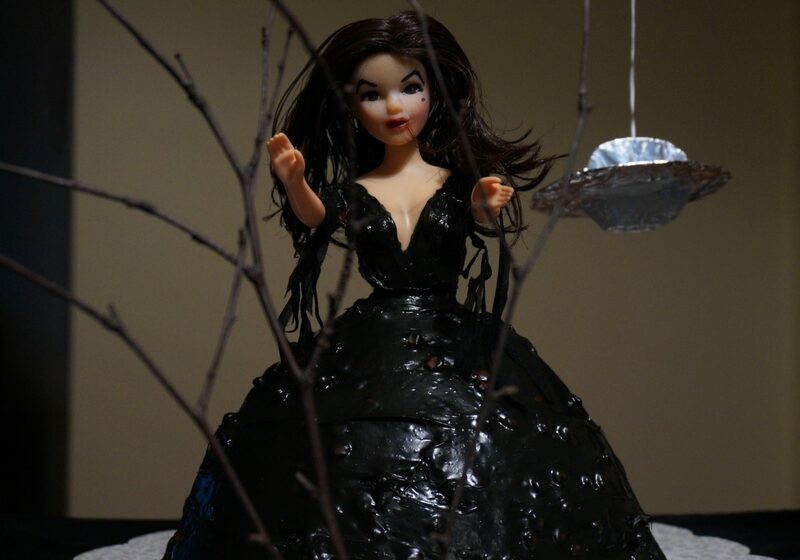 How did you make the PLAN 9 Vampira cake? It’s a Wilton cake kit. The pan is her skirt (cake part) and the doll is only half a doll. The bottom half of her is a pick that sinks into the cake and holds her upright. The kit box shows mostly princesses and brides. Then there are those twisted bakers like me that take it up a notch. Is the frosting black? What does black frosting taste like? Bakers pro-tip: You have to start with chocolate frosting to get black or red, otherwise when you mix your frosting colors, if you use vanilla, you’ll just get grey or pink. So it tastes like chocolate and will make for interesting stained lips and teeth. Where will you serve it? I brought it to work! We need a little humor in the office on Halloween, yes? I also brought her flying saucer and tree branches and set it up in the break room kitchen. I printed out pictures of Vampira (aka Los Angeles horror movie hostess of the 1950s Maila Nurmi) and taped them to the cabinet above the cake in the break room. Any advice for other classic film fans who like to bake? DO IT! I want to see them. There are so many characters that are fitting for doll cakes. I mean, if Mattel can make a Hitchcock THE BIRDS and Ann Darrow KING KONG Barbie – both of which I own – then we can make anyone out of cake. Don’t let the big skirt deter you. It goes with a lot of classic film ladies. Have your cakes made any classic film converts? 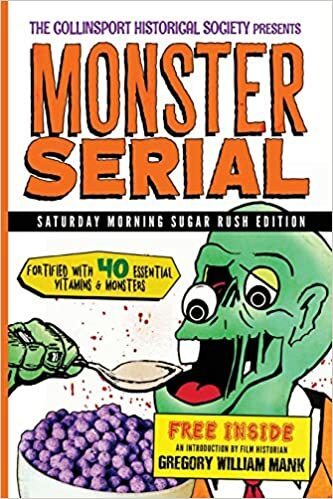 I hear people say, “Oh my kids would love this.” Yeah, sure. Use them as an excuse, whatever gets you to watch the film and give it a chance! Then that leads to you watching another movie in the same genre and so on. And before you know it, we’re talking about THE DAY THE EARTH STOOD STILL or THE LADY VANISHES over the water cooler. So, your Halloween cakes are like a gateway drug? Halloween is just the door by which to show others a whole set of film work that has inspired so many storytellers after them. If anything I create gets someone to dig deeper into the genre, then its been a good day. For more information on Lisa Stock, visit her website or follow her on Twitter or Instagram. “He sounds like a second father,” a friend said when I told him about Uncle George. Honestly, I didn’t need another father. I had two before I was six months old. I never met the first one (his loss) but the second treated me like the best thing that ever happened to him. What I needed was an uncle, and that’s where Uncle George came in. 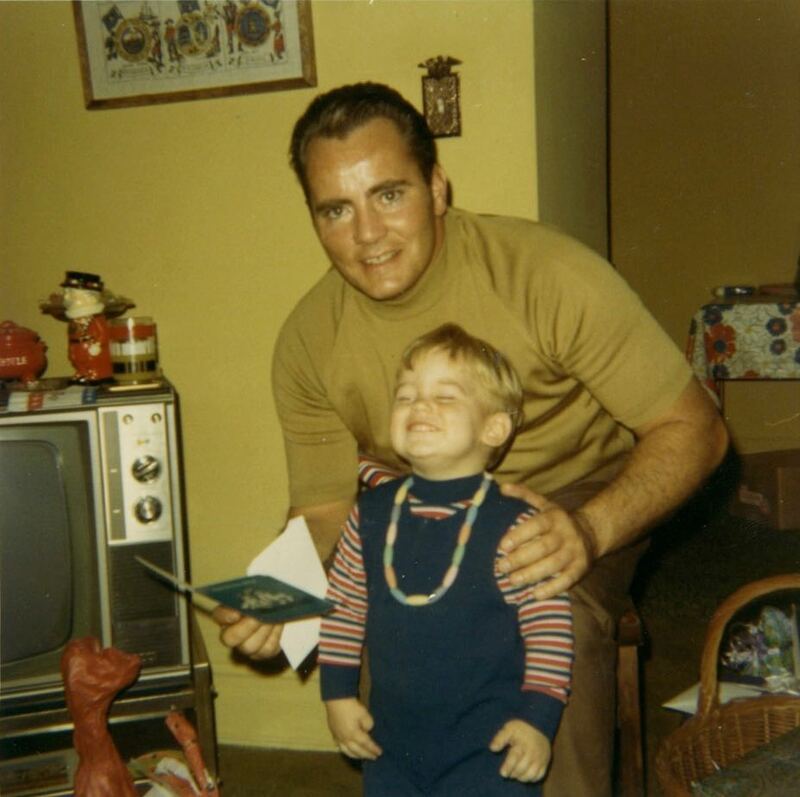 Easter is a season of rebirth and my parents took that literally, adopting Christian Beaton in March of 1969 and rechristening him William McKinley, Jr. A few months later, George Reiber married my Aunt Margaret and became Uncle George. Both of us were new to the family at the same time, with new roles to play, relationships to build, and memories to create. Fathers can be dull and responsible; Uncle George was fun and slightly dangerous. He would get my cousins and me wound up and then hand us back to our parents, always with a mischievous, gap-toothed grin. Every time I saw Uncle George in those days I did a swan dive right at him with no doubt that he would catch me, boost me up to the ceiling, and return me to the floor safely. There were three of us nephews, all competing to be hoisted on his shoulders (often two at a time) or dangled from his arms like they were monkey bars. He always obliged, ignoring my grandmother’s reprimands that “somebody was going to end up crying.” And, when my parents adopted my sister a few years later, Uncle George’s fan club added a niece. 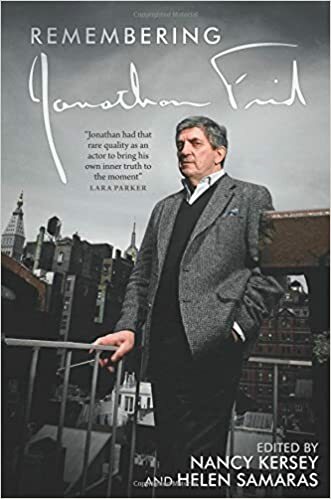 He was in his early 30s then and in unusually good shape during an era when Madison Avenue advertised men into early graves. Uncle George had been an athlete since childhood, from high school wrestler to college boxer to Air Force Reservist and police officer. 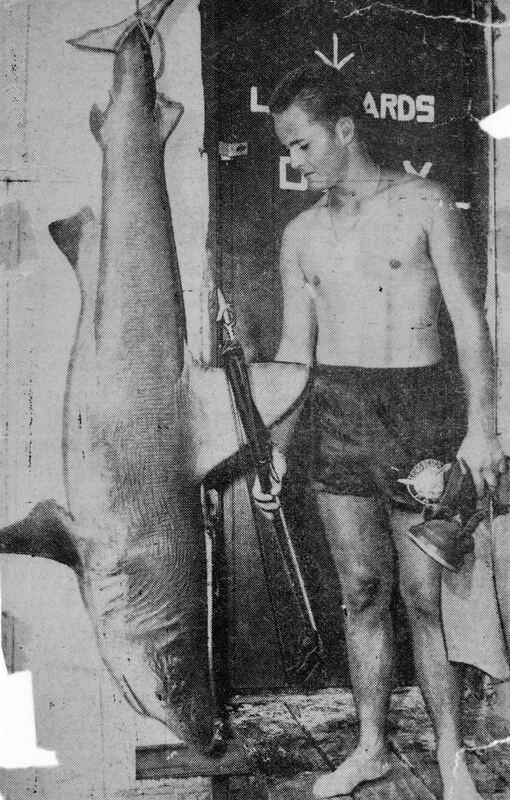 He lifeguarded on the beaches of Long Island and once killed a seven-foot shark after being “alerted by endangered bathers,” according to a clipping Aunt Margaret kept in one of her meticulously organized photo albums. As a kid I used to stare at the newspaper picture of him posing next to the vanquished monster and imagine Uncle George battling it with his bare hands. (He actually took it out with a spear gun, which is even cooler.) If only Roy Scheider had called Uncle George first, Jaws might have have turned out differently. A lot of guys betray their athleticism as they age, but Uncle George doubled down. He jogged, water-and snow-skied, kayaked, did yoga, and practiced every martial arts discipline he could learn from a book, magazine, or videotape. Sometimes I’d peek through the door and watch him do his Taekwondo workout, yelling “Hi-YA!” as he sliced through the air at an invisible opponent. By day, he was a cop on the beat. By night, he was the Kung-Fu Master of East Rockaway, New York. The Nassau County Police Department even gave him a costume and a special car to drive as he fought the bad guys. I don’t know what your uncle did for a living, but mine was a superhero. Still, he always found time to do stuff with us kids. Truth be told, my memories of that day back in 1972 are dim, but it’s a story that’s become legend. Somehow Uncle George managed to get my cousins and me – two 3-year-olds and a 7-year-old – to sit still for 90 minutes in a theater packed with kids. And nobody cried. He must have plied us with a lot of popcorn. “That was the first and last time!” Aunt Margaret said with a laugh. Perhaps, but Uncle George obviously did something right that day. In the years since, I’ve spent more time in movie theaters than practically anywhere else on Earth, and I’m always well-behaved and call out those who aren’t. That’s a mission accomplished in my book. After practicing on his nephews and niece for a decade, Uncle George became a father himself. He brought that same playful spirit to his parenting, less reckless perhaps, but active and fun. Even though he was well into his 40s, he still loved to carry his son (also named George) on his shoulders. My sister and I became our new cousin’s playmates and babysitters, spending more time than ever at Aunt Margaret and Uncle George’s house. It was a welcome refuge during my teen years, when I needed a neutral corner during battles with my mother. Uncle George would fire up the grill and cook some steaks, always followed by ice cream and maybe some popcorn. And then Aunt Margaret would listen to me complain about my overly controlling mom (her sister, by the way) while Uncle George poured a drink and watched Magnum P.I. He never admitted it, but I’m pretty sure Tom Selleck was his mustache idol. When my sister starting having children of her own in the late ‘90s, I took all my uncling cues from Uncle George. I started going to the gym so I’d be prepared for heavy lifting and my mom scolded me for roughhousing just like Nanny had done with Uncle George. My time with the kids is always filled with joy and gratitude, even if I can’t lift them quite as high as Uncle George did me. In recent years, he and Aunt Margaret would take my sister’s kids for weeks at a time in the summer. And after my father died, Uncle George made a point of calling me often and inviting all of us to the picnics and barbecues sponsored by his endless roster of retired cop organizations. He was always proud to show us off to his co-workers and friends, so maybe that “second father” thing wasn’t too far from the mark. Some people look at our extended family and marvel at how close we are, like it’s good luck. In reality, keeping family close takes work, and Uncle George and Aunt Margaret did a good amount of that work across two generations . 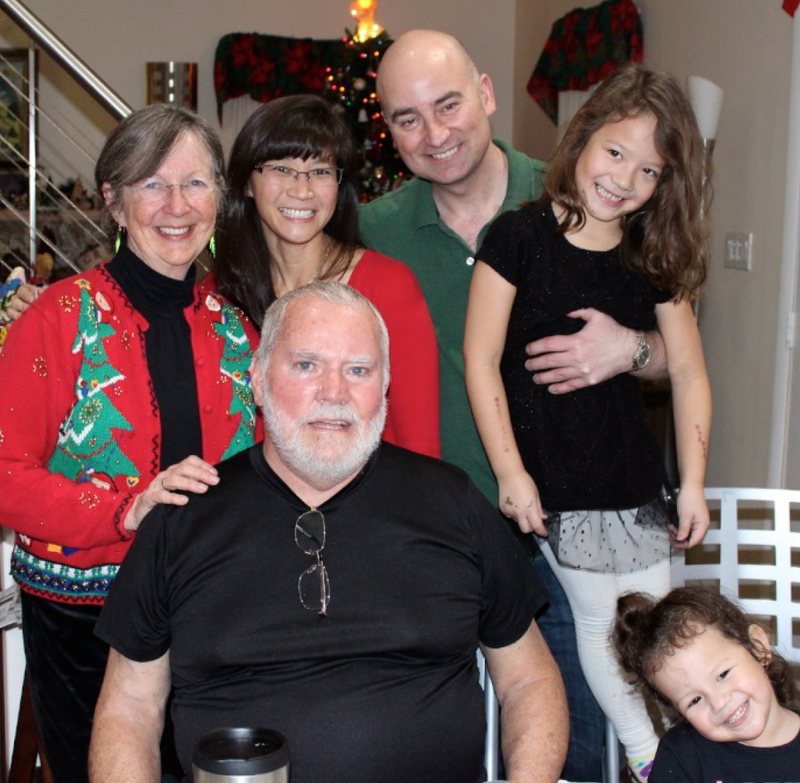 We had more gatherings at their place than anywhere else, celebrations that were always filled with kids, including their own grandchildren. After my oldest niece’s high school graduation party this past June, Uncle George and Aunt Margaret sat on their deck, flipping through an old photo album. I noticed him leaning on a cane for the first time, but I dismissed it as part of his recovery from a recent heart valve replacement. I had been his advisor on that surgery, thanks to my own near-fatal heart valve ailment in my 20s. 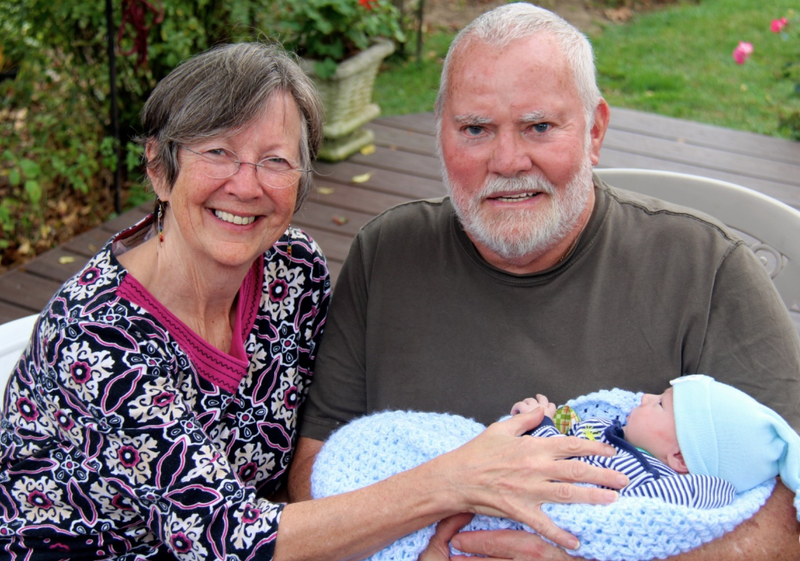 But he was on the mend and itching to get back to yoga, so it was a surprise when Aunt Margaret called two weeks later to tell me he had been hospitalized. Why did a guy who was recovering from heart surgery need me to feed him? I must have communicated that confusion with a grimace, because she immediately backtracked. “I can do it if you’d rather,” Aunt Margaret said with no judgment. I looked at Uncle George and he nodded his head as if to say, “What the hell, I’m hungry!” So I sat down next to his bed and began feeding him beef and mashed potatoes. “Not as good as you used to make,” I said, trying to make small talk while being careful not to overload the fork. “And Sarge doesn’t get to lick the cutting board,” I added, referring to the big dog he adopted when he switched to the night shift and worried about leaving Aunt Margaret alone. Uncle George was clearly confused, suffering the after effects of what we would later learn was one or more strokes. But while his memory was impacted, he was still very much himself. So, with Aunt Margaret gone for a much-needed break, I took it upon myself to unofficially begin his rehab. 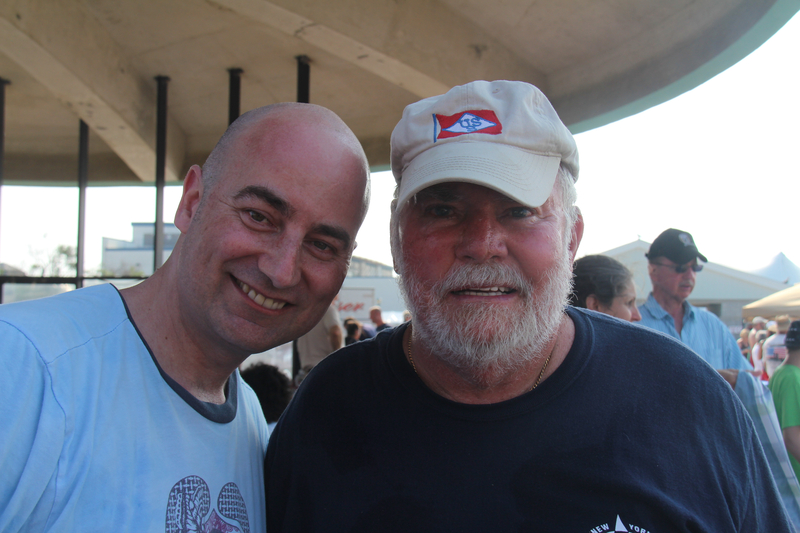 I quizzed him on current events, family history, names, addresses, phone numbers. His answers to my questions were all spot on, except for one. The first time he guessed 1970, the year he married Aunt Margaret. I corrected him and asked again. “1969,” the year cousin Patrick and I came along. Again. 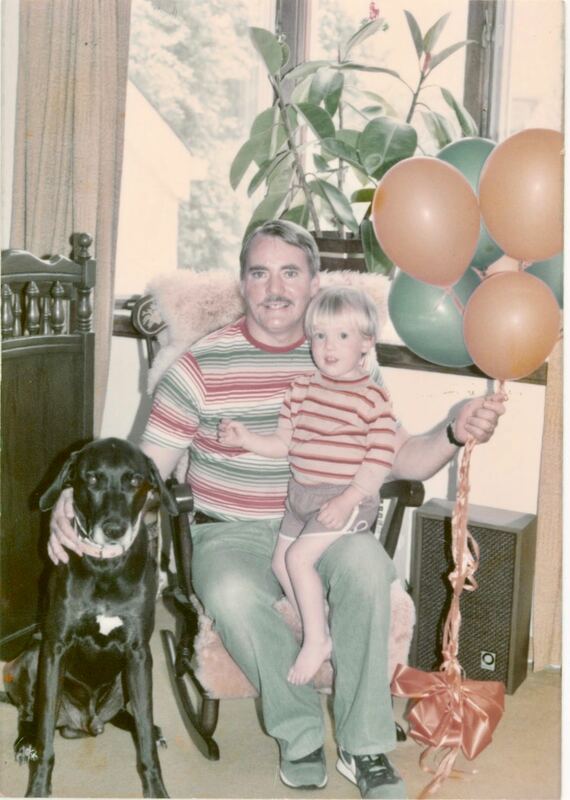 “1980,” the year his son George was born. Then 1973, 1977, 1983, 1987. He seemed to understand intellectually that we were in the future, but his answers remained locked in the past we both remembered so fondly. After awhile I stopped trying to correct him. By my third visit just a week later he was talking about his suitcase, a staircase, heading home to the beach. This was his truth now. For the first time in my life, Uncle George was headed to a party the rest of us weren’t going to attend, at least not yet. The last time I visited him I kissed him on the cheek, my lips brushing against the coarse white hair of his beard. It was the first time I had kissed him since the age that little boys stop kissing their uncles. He still felt strong and invincible. And then my sister and I picked up her two youngest daughters and took them to the movies, because there are new memories to make, new albums to fill. I bought the popcorn and the ice cream. That’s what uncles do.